Fascinated and thrilled by ancient history and the glorious civilisations of times gone by? Want to understand how to combine your passion with that for video slots? Look no further than Olympus Evolution by GAMING1! Olympus Evolution comes with 5 reels and ten paylines, offering you however chances to win big thanks to the God of all Gods, Zeus, landing on the reels. The historical background of the game, with some mythological infusions, makes for educational thrills as you will spin on a set of reels that nonetheless offer you a very good chance to win. You can see each of the ten fixed paylines on the screen as you play – just by mousing over the tiny number squares found on the left and right of the reels to show you where the payline is found on the reels. This will help you come up with a playing strategy that will you win big and in a consistent manner! Bet on Olympus Evolution from just € 0.2 up to a maximum of just € 10, the minimum bet therefore being just € 0.02 per betline. Prizes are yours if you land anything between 2 and 5 matching symbols on one of the 10 paylines. The more symbols you land next to each other, the greater the amount you can win. You can find out the wins awarded per symbol simply by clicking the paytable icon, but we’ll go into more detail about this later on. Land three Wild bonus symbols on the reels to trigger the Free Spins mode – here you will get ten Free Spins in which you will have a special Evolution symbol appearing. Every Evolution symbol appearing on the reels will transform the lowest paying symbol into the highest paying symbol until the end of the Free Spins, which are played automatically. If, during the Free Spins mode, you form another combination with Three Wild bonus symbols during the Free Spins, you will receive another ten extra free spins. The lower paying symbols of this game are the purple, green and blue dice, offering a maximum of 10x your total bet, while the gold and orange dice can earn you a maximum of 15x. The Greek symbols come with much higher payouts – 60x for the yellow and black symbols, while the blue symbol reaches a massive 100x payout. Zeus, God of the Gods, comes with a 100x payout too but a higher number of tickets for the Super Games feature. The Wild symbol also acts as a bonus scatter, giving you the Free Spins and a 100x payout. Olympus Evolution comes with a set of graphics that captures the genre fantastically, and it’s like you’re in heaven. The background in fact is set among the clouds, and you’ll feel as if you’re up there with the deities of Greek mythology. In a beautiful Mediterranean sky after dusk, you will spin the reels against the constellations and you’ll be blown away with the stunning imagery GAMING1 have designed for Olympus Evolution. 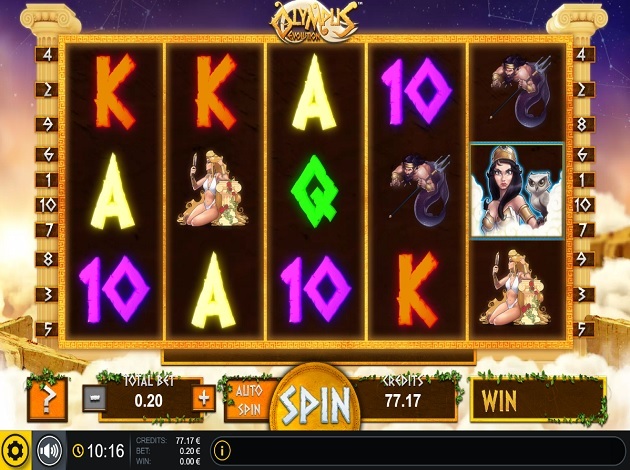 The reels are sustained by Ancient Greek Pillars which are still standing in many historical Greek sights, adding further to the appeal of this video slot. The paytable in Olympus Evolutions sees a mix of dice and symbols related directly to the Greek mythological theme, and maybe it is based on their descriptions. GAMING1 stick to their tried and tested template where dice feature prominently, whatever the theme – maybe it’s their lucky charm? You can live the life of a Greek deity with Olympus Evolution by GAMING1. Finally, a video slot dedicated to the “rich and the famous” of Greek mythology which looks stunning, carries a bit of educational value and can offer prizes up to 100x your bet per line. If you want to immerse yourself in this fantastic world, don’t wait around for the Romans! GAMING1 is a company that provides a complete range of services and solutions to help casinos and sports betting sites optimize themselves. This full-service partner specializes in high-performance online casino and sports projects, and offers everything from consultancy, platforms, marketing, CRM, management, investments and more. The company focuses solely on land-based casino operators who takes it to the next level, giving players a unique and excellent experience. 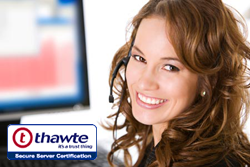 It is important to keep up with this fast-pace industry – and GAMING1 is well aware of this. This is one of the reasons to why the company went from land-based to online games, granting everyone access to the games, at any time. With core values being performance, integrity, involvement, team spirit, and fun – this is a company that guarantees the best platforms, most innovative games and services. Everything is done in-house, making sure that GAMING1 can adapt its services according to the needs of their partner, which makes the cooperation’s both smoother and nicer for both parties.